The UK Mirror Class Association (MCA) is largely funded by subscriptions from members. Membership means you are eligible to enter for the Nationals, the Nationwide and Travellers events organised by the MCA. In order to support your Mirror campaigns the MCA organises Open Training that as a member, you can apply for. Membership gives you an opportunity to help keep the Mirrors prominence, which you can put into action by voting on class matters at the AGM. An up to date membership means, you will receive an occasional electronic newsletter, keeping you at the forefront of what is happening in the Mirror Class. In the UK, the Mirror Dinghy measurement certificates are only valid if the owner is a member of the MCA. For this season you can pay your MCA membership online using a membership system from SailScore. 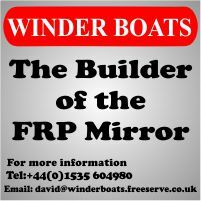 for a family owning an International Mirror Dinghy, includes children under the age of 19 years. 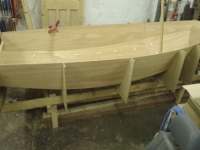 for an individual who is an owner, or joint owner, of an International Mirror Class Dinghy. for an individual who is not an owner, but is interested in the Mirror Class, for example a Coach. Subscriptions are due on 1st January and last for one year. Members joining in October, November and December of a year get free membership until 31st December of that year, and then one years membership. If you have been a member in the past and require your details to be deleted from our database please let the Membership Secretary know.